The discovery of the Cobbe portrait of William Shakespeare a decade or so ago has made it possible, for the first time in centuries, to look at the face of the living Shakespeare, with sparkling eyes and lively appearance – literally face to face with genius. The sitter is portrayed as an intelligent and observant man, who seems to examine us as much as we him. The portrait was the centrepiece of exhibitions in the Shakespeare Centre, Stratford-upon-Avon, and in the Morgan Library, New York, in 2009 and 2011 respectively. Now in the 400th anniversary year of his death, this display honours the Cobbe portrait and shows it together with the youthful portrait of his only known literary patron, Henry Wriothesley, 3rd Earl of Southampton. The two portraits have been together through centuries in the same family ownership. Also on display are portraits of various members of the Wriothesley and Cobbe families, a letter from the Earl of Southampton whilst he was imprisoned in the Tower of London and the Shakespeare Fourth Folio containing 43 plays. 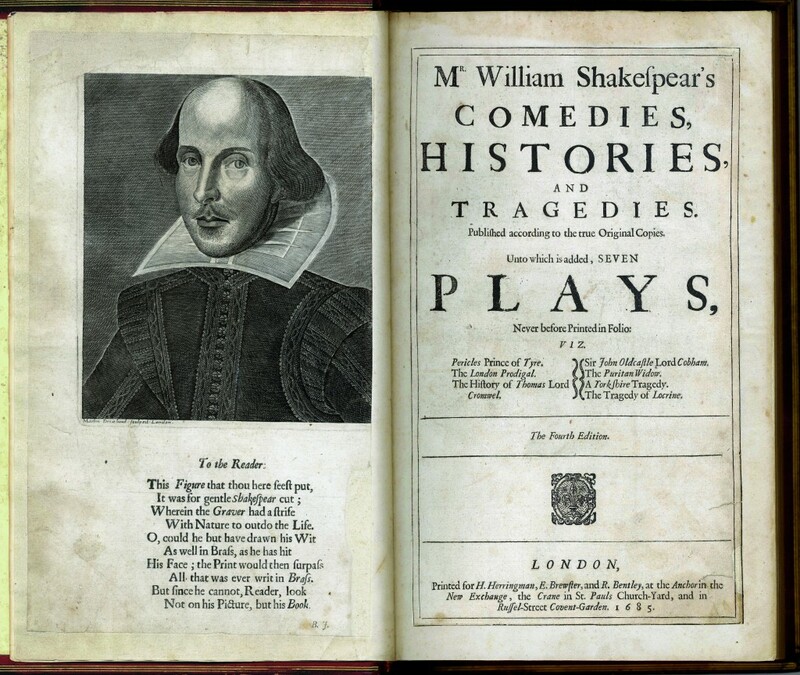 Although Shakespeare is the most venerated author of all time, until the identification of the Cobbe portrait the two likenesses generally accepted as authentic were both posthumous: the monument bust in Stratford and the Droeshout engraving in the First Folio. The ‘Chandos’ portrait in the National Portrait Gallery, whose identification as Shakespeare dates from 1719, also has a claim to have been painted from life, but has been much overpainted. As with all things Shakespeare, since the discovery of the Cobbe portrait, some scholars have celebrated and others disputed the identification, which contributes to a healthy debate. The Face to Face with Shakespeare display will be open to visitors from Sunday 24th April to Tuesday 31st May, 2016 every Tuesday, Wednesday, Thursday and Sunday from 2-5.30pm. Normal entrance fee to Hatchlands Park applies – there is no extra charge for the display.